Explosive activity continues. 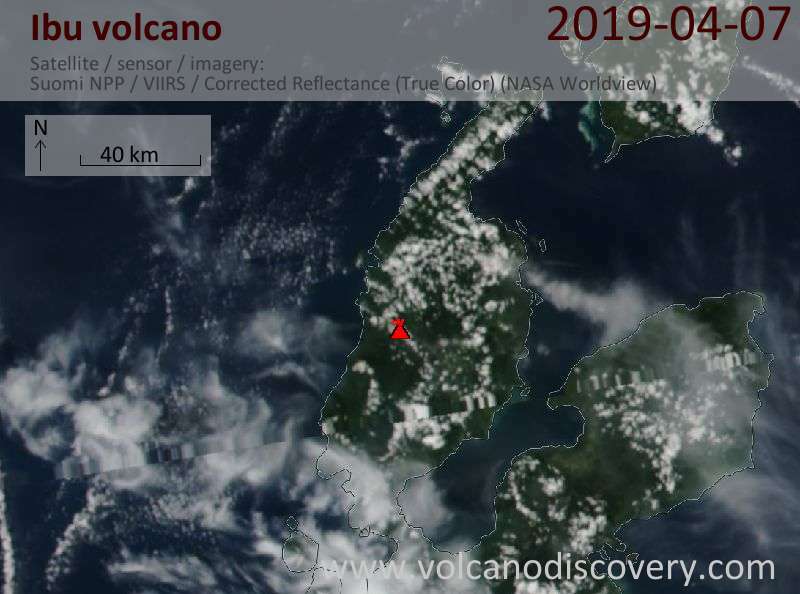 Volcanic Ash Advisory Center (VAAC) Wellington warned about a volcanic ash plume that rose up to estimated 8000 ft (2400 m) altitude or flight level 080 and is moving at 10 kts in SE direction. MOVING SOUTHEAST FROM SUMMIT ON VISIBLE SATELLITE IMAGERY. 07/1200Z MENADO SOUNDING AND MODEL GUIDANCE. 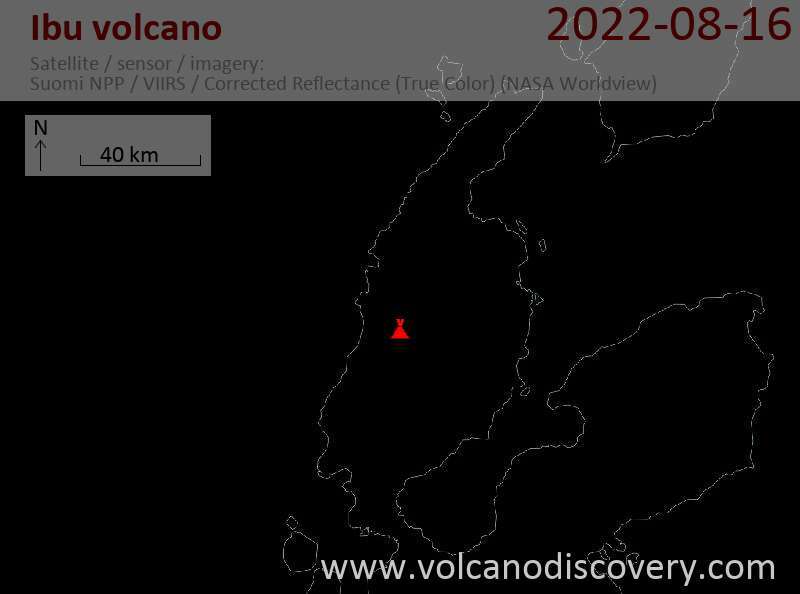 Ibu Volcano Volcanic Ash Advisory: DISCRETE ERUPTION TO FL130 MOV SE AT 03/1600Z.